In Fort Worth and throughout Texas, homeowners and business owners are turning to wainscoting or the more cost-effective cousin, beadboard, to give rooms a distinctive look and feel. Yet, there remains confusion about the difference between the two cousins, beadboard and wainscoting. 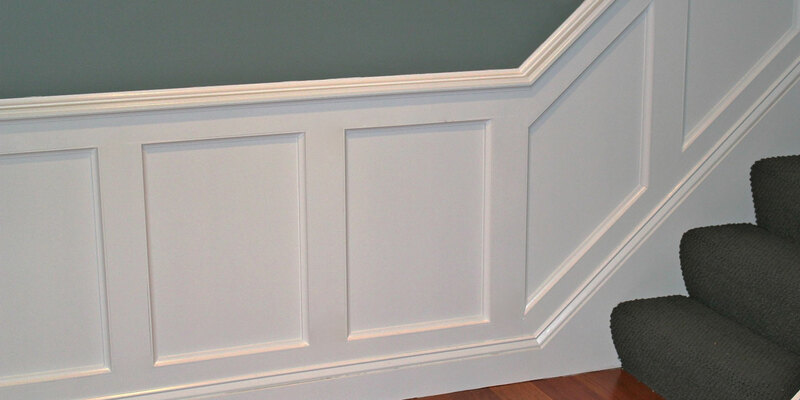 Let’s be clear; wainscoting is not breadboard but both finishes are extremely popular in Fort Worth and Texas. Many Texans use the terms wainscoting and beadboard interchangeably, but there are distinct differences between the two wall coverings. In a nutshell, if you seek a rich, traditional wood panel finish for ceilings or walls, you are probably envisioning wainscoting. When wainscoting was originally used as paneling in the 1700’s, it provided very necessary insulation as well as an impressive appearance. The original wainscoting was more about preventing water damage and keeping the bad weather out than it was about providing decorative accents. Today, wainscoting is usually confined to the lower half of the wall or applied to the ceiling. Fort Worth homeowners and business owners describe wainscoting as both functional and decorative. In days of yore, wainscoting consisted of riven oak boards. Today, manufacturers use technology to ensure a high quality cut and high quality uniformity that makes Fort Worth homes and businesses truly distinctive. Perhaps the most surprising aspect of Forth Worth wainscoting is that it is very affordable and relatively easy for professional installers to install. Prefabricated wainscoting and hand-crafted wainscoting are both available in Fort Worth. Ceilings with wainscoting create space that is intimate but spacious. Walls are absolutely elegant. There is a timeless elegance to all wainscoted ceilings and walls. For that full wainscot feeling, the best installers assemble the paneling board by board. Remember that if the home or business is installing wainscoting to an existing Fort Worth structure, it may be necessary to have an electrician relocate electrical outlets prior to commencing the hardwood paneling installation. Wainscoting has always been popular in colonial homes and traditional business interiors. But, in Fort Worth, homeowners have begun to use wainscoting in contemporary and ranch style residences. Let your imagination decide where wainscoting can spark new life into your home or business! In Fort Worth, beadboard has become very popular in residential and commercial buildings or more specifically in bathrooms, kitchens and as complete wall coverings. Applying prefabricated whole sheets of beadboard is about as cost effective a wood finish as can be found anywhere. Today, beadboard is produced in long, thin monolithic sheets, making it relatively inexpensive and very easy to install. In Fort Worth, the prefabricated sheets imitate the loom of the traditional wood planks. In Fort Worth, beadboard provides a happy combination of practicality and style. One of the advantages of beadboard is that it accepts paint quite well. This allows it to be used in refurbishments, in bathroom or kitchen redesign. If it is a visual contrast that the Fort Worth home or business seeks, beadboard may be the perfect solution. Lately, many homeowners have begun ordering beadboard for backsplashes in kitchens. Wherever it is deployed, the effect is an unparalleled sleek and cool appearance. Wherever Forth Worth homeowners or business owners have beadboard installed, it ensures an appealing, low-maintenance wall finish or decorative treatment. Be sure to check these options out!